I was looking for the perfect fit in my sump and this was it ! 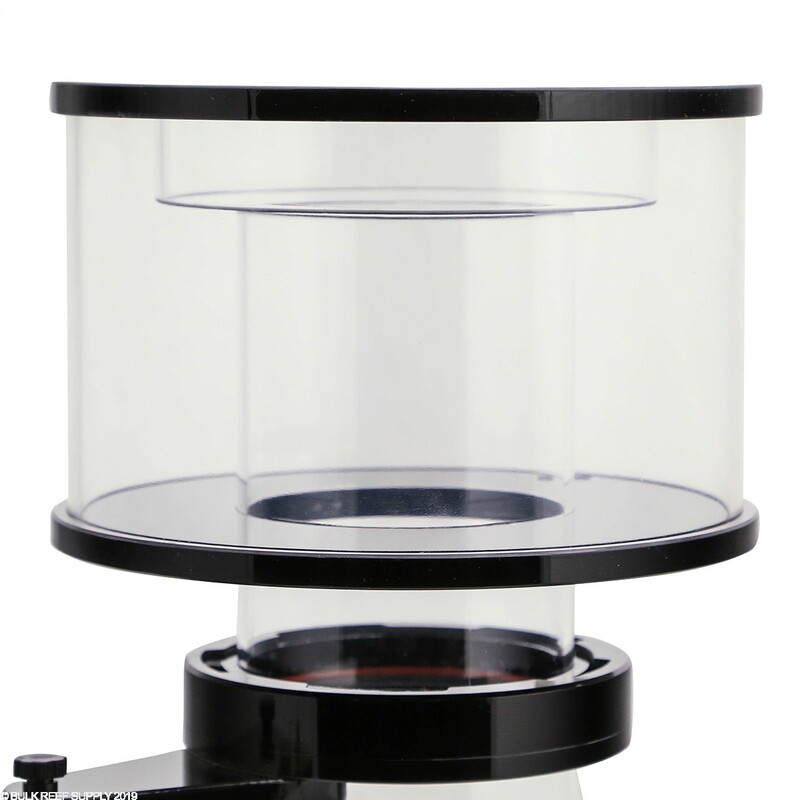 I previous used an undersized Reef Octopus Classic 202-S for my 240 Gallon FOWLR Aquarium. 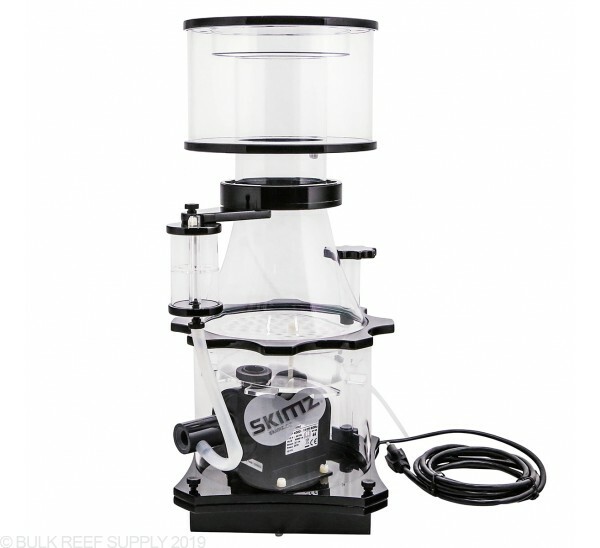 I was amazed at the amount of skimmate that was collected from the Skimz Octa SC205I Internal Skimmer. Very powerful for a skimmer with a small footprint and as a added bonus - I was able to fine tune the skimmer in three days. 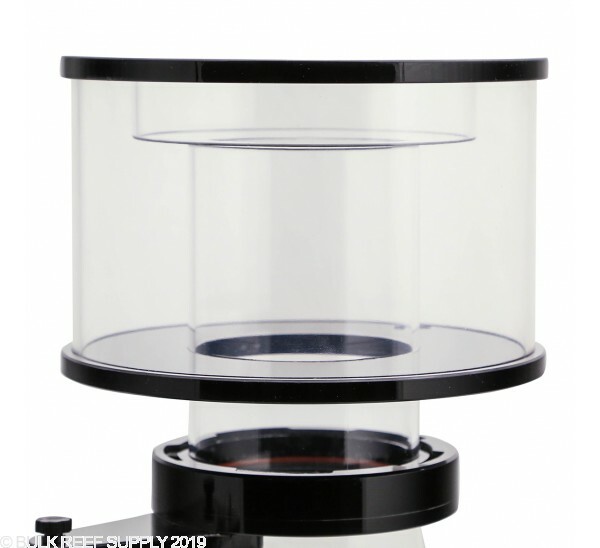 Definitely worth considering when shopping for a skimmer to equip a 240 gallon FOWLR aquarium with a sump that has a small footprint. I'm very pleased with my purchase (especially with the Black Friday discount). I would recommend this product. This is my first time buying or using a skimmer. I don't have anything to compare the noise level to but i would not call it quiet. There is a constant hum that isn't very annoying but you know it's running for sure. Have only had this skimmer for a few weeks but the break in has gone great. The build quality is fantastic, the skimmer itself is beautiful and could be treated as artwork if not covered in fish poo :D Pretty easy to tune, absolutely no noise, and our nitrates are on a steady downfall. Cannot complain. The only thing I haven't really figured out is how much airflow to allow it to use. Planning on a 150 sps only tank with heavy fish bioload. Am between the Skimz Octa SC205i and the Skimz Monzter SM201. They are pretty similar, I kind of like the Monzter due to the white color but wondered what you guys think is a better unit? Thanks for asking and both skimmers are very similar, with the biggest difference being the color. The other difference is the pump that is used. 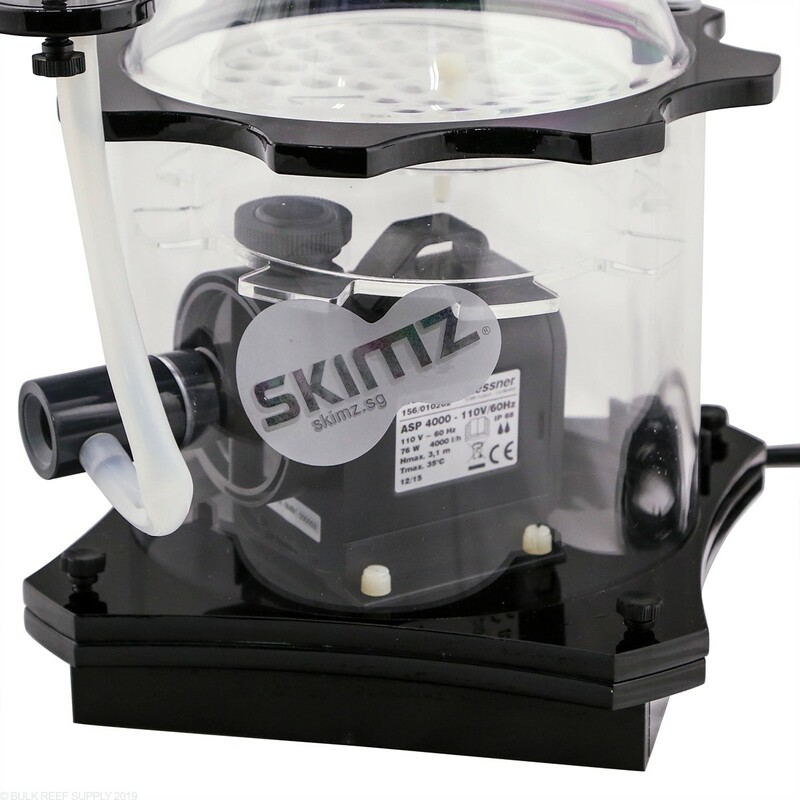 We have had very good experiences with the Messner pump that the Octa line uses, but the Skimz Monzter line has proven itself. You will more than likely have better results with the Octa series, but the Monzter line will not disappoint either. Just wondering what is the wattage on this skimmer, as the description says 22watt but the sticker on the pump says 76watt? I'm seeing a trend of the newer skimmers making claims that put them in the 900-1000 lph air draw, but then claiming only 20 ish watts.... only to see people measuring the actual amp draw and seeing that they are in the 60-70 watt range just like all the other skimmer pumps. The wattage difference stems from what material the pump is pushing. 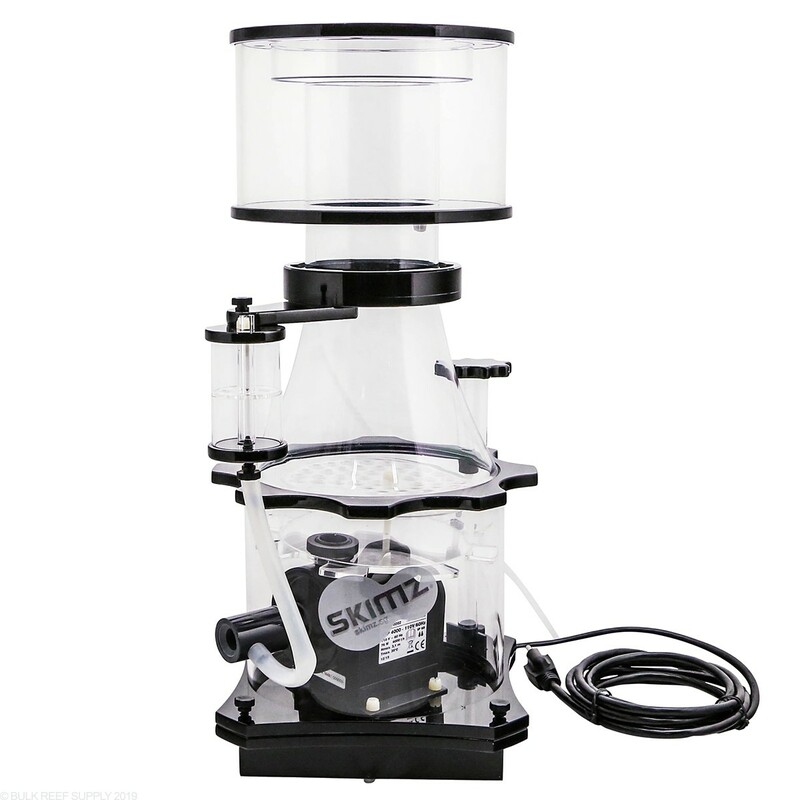 When used as a skimmer pump with volute the pump will draw between 18-22 watts. We were actually able to test this with our watt meter. When the pump is drawing only water the wattage increase to 50-60 watts. When used as a standard skimmer the wattage will be 18-22. Feel free to let us know if you have any further questions! Hey I am interested in either the octa or the dc oval with a heavy bioload rating for around 200ish gallon tank. 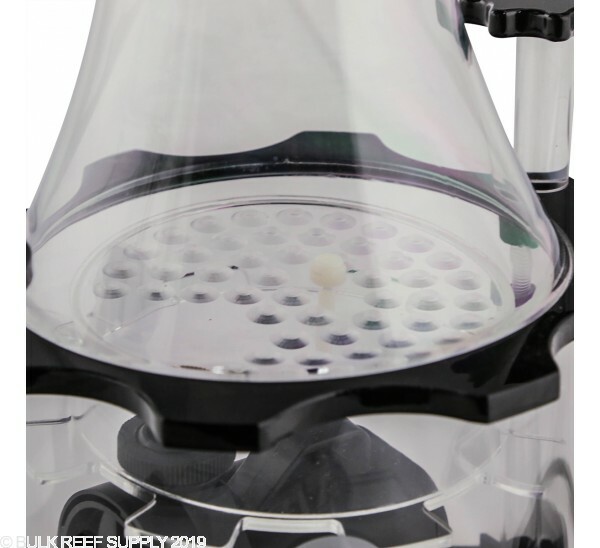 I noticed in the related item category for this skimmer the reef octopus auto kneck cleaner was listed... Is there a model of the reef octopus kneck cleaner that would fit the Skimz skimmer or better yet does Skimz make one? There is not currently a neck cleaner designed for the Skimz protein skimmers. The ANC 200 may be able to be modified to work however would not be a direct fit. Feel free to let us know if you have any further questions! 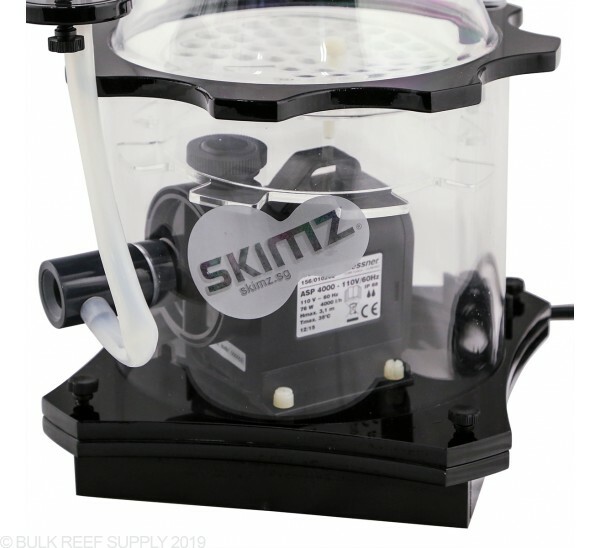 I've been looking into the Skimz Octa SC205i Internal Protein Skimmer for my 70 gallon reef tank, with a net water volume of 90 gallons. I am a heavy feeder and plan to stock the tank pretty heavily as well. 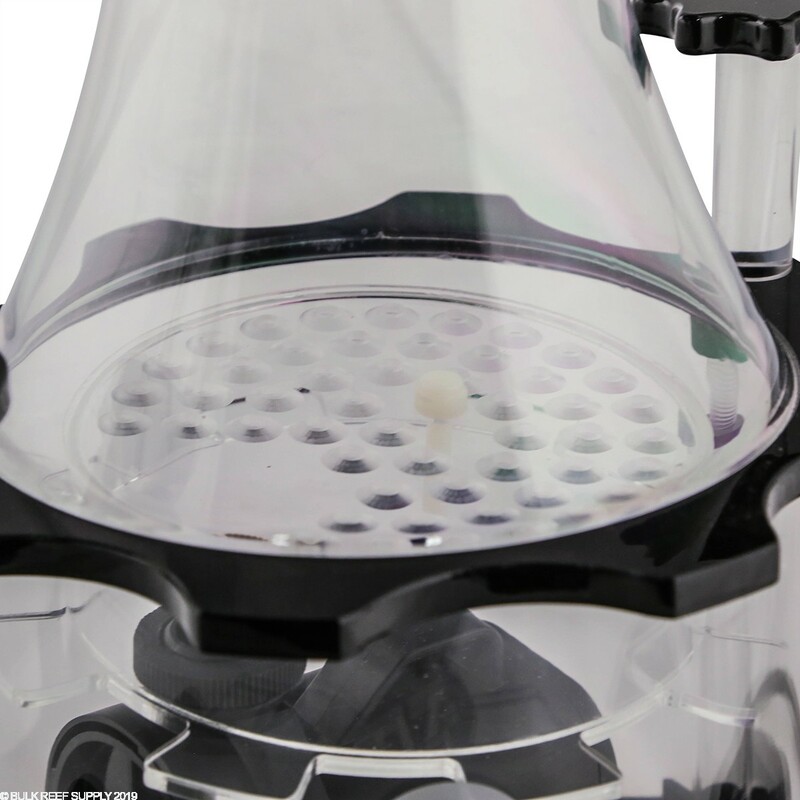 It will be a zeovit tank, like the BRS 160. My question is, is this skimmer an appropriate choice for my tank, if not can you suggest a better fit? You will want to select the next size down for best performance the SC165 will be more than enough to keep up with your heavy biol-load. Feel free to let us know if you have any further questions!